This is a new direction. 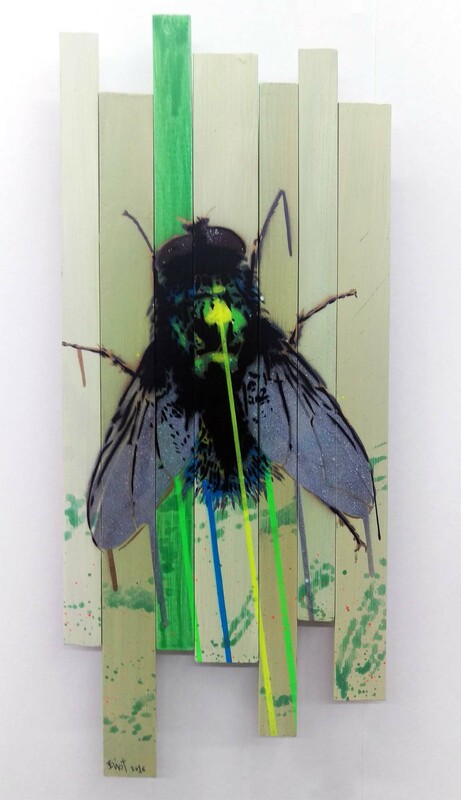 I am experimenting with insects on wooden surface. 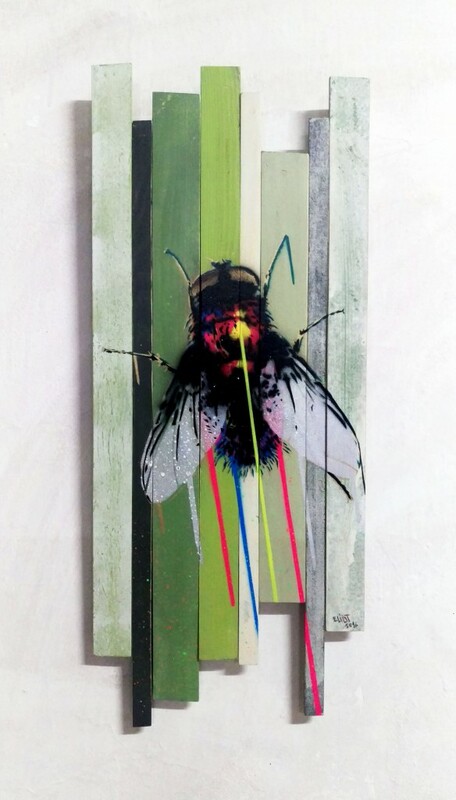 I like the geometry of different sizes of 5mm wood laths, wich are painted differently. The positioning breaks the classic square lines of usual canvases. 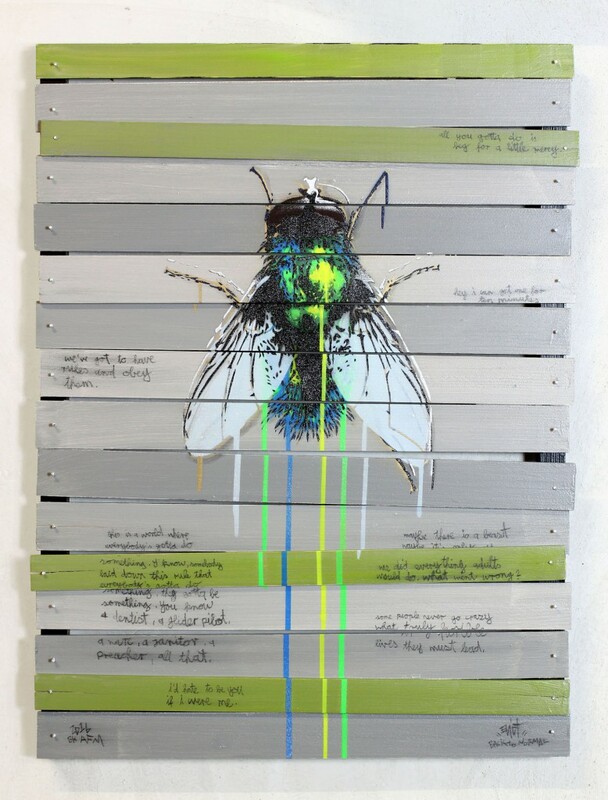 I dont paint the background, I “construct” it by choosing the width, the colour and the position of each lath. This geometry is glued and sometimes even nailed on a wooden frame, that makes it easy to hang too. 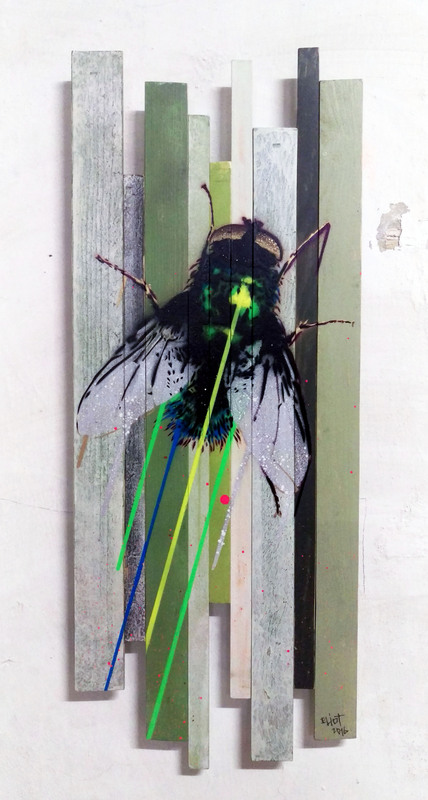 On this background I spray paint Insects, like these flies.